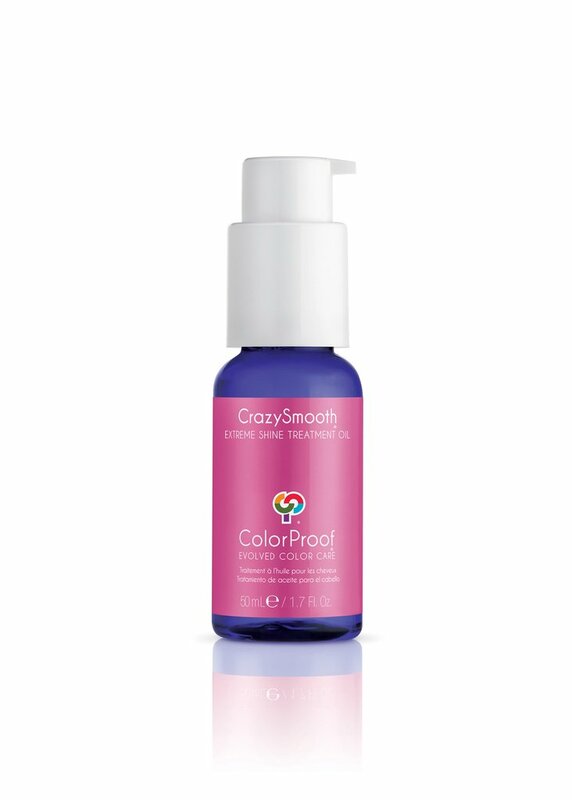 ColorProof Color Care Authority is a complete line of professional luxury products designed exclusively for color-treated hair. These next generation formulas combine the latest innovations in ingredient technology with best-in-class ingredients to create a new standard in color care. 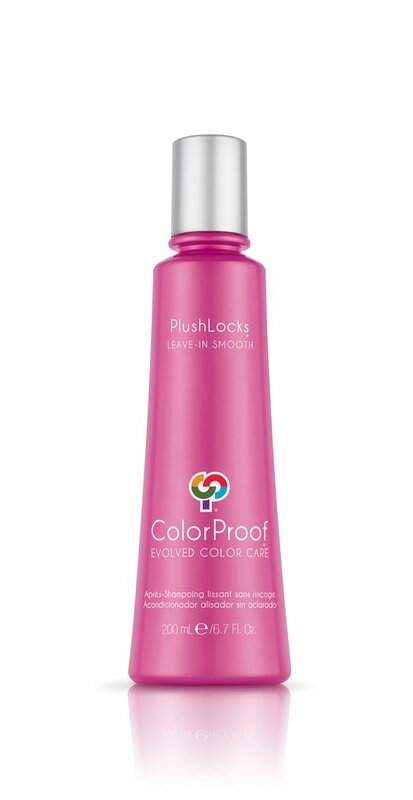 ColorProof utilizes a unique product development process that allows it to deliver best in class products, with the highest quality and newest ingredient technology for maximum color protection and hair that’s shiny, beautiful, vibrant, healthy and instantly youthful-looking. We are obsessed with excellence. We use only the finest, next generation, super luxury ingredients to deliver superior product performance that dramatically improves hair condition while maximizing color retention. All color fades with time due to shampooing with harsh surfactants, heat styling and environmental factors such as exposure to UVA/UVB rays, which lessens the pigments deposited in hair causing fadeage and damage. ColorProof formulas resist fadeage and reverse damage by utilizing a proprietary combination of the newest technologically advanced ingredients fused together for unsurpassed performance. Not all sulfate-free shampoos are created equal. ColorProof shampoos rise above utilizing an exclusive blend of the newest, super premium surfactants to deliver the most gentle cleansing possible with an explosively billowy lather that rinses clean and provides 96% color retention. The result is clean, healthy hair with exceptional color vibrancy. Breakthrough ingredients that together provide powerful full spectrum UVA/UVB color protection. SuperRich - Breath. Taking. Moisture. SuperPlump - Super. Pumped. Volume. CrazySmooth - Heart. Stopping. Smooth. SignatureBlonde - Be Bright. Bold. Beautifully Blonde. Illuminate, brighten and replenish blonde, bleached or silver color-treated hair. These next generation revitalizing formulas include a proprietary blend of revolutionary surfactants and pure violet pigment to instantly cancel brassy and yellow tones while nourishing hair from the inside out. Revitalize and radically repair your locks back to brilliant blonde with maximum color and heat protection. TruCurl - Mind. Blowing. Curls. Designed exclusively for naturally curly color treated hair our primary ingredients including natural sugar cane enhance and hold essential curl structure while encouraging the perfect curl pattern. Get curl-perfecting, frizz-defying, shine-boosting results while deeply quenching and enhancing natural curls. Baobab Heal & Repair - Strength. Resilience. Self-Healing. The Essentials - Marvelous. Must. Haves. Color care starts here. Absolutely essential to your color care regimen, these solution-based formulas prepare the hair while ensuring style and color longevity. These fundamental treatments breathe new life into your locks. Your products will work better, your style will last longer, your color will be more brilliant. Style - Awe. Inspiring. Style and Finish. Color care doesn’t stop when you step out of the shower. We provide layered protection through every step of your routine. Imagine, create and perfect your style with superior performance formulas delivering the strength, protection and control you crave to master your craft. Then, finish strong with weightless hold, the glossiest shine imaginable and unsurpassed color and heat protection.